Rainy Day Grasmere. So much to do. Having a few days off work and awoke to rain. Despite having a sign in my hall saying “A tidy house is the sign of a boring woman” I started doing the job I hate most. Defrosting the freezer. Soon lost interest, and left it to it. Wandered up the village, and saw two people gazing in a melancholy fashion from a holiday cottage window. This got me thinking. There is so much to do on a rainy day in Grasmere, I almost knocked on the door, told them to grab their coats and follow me!. 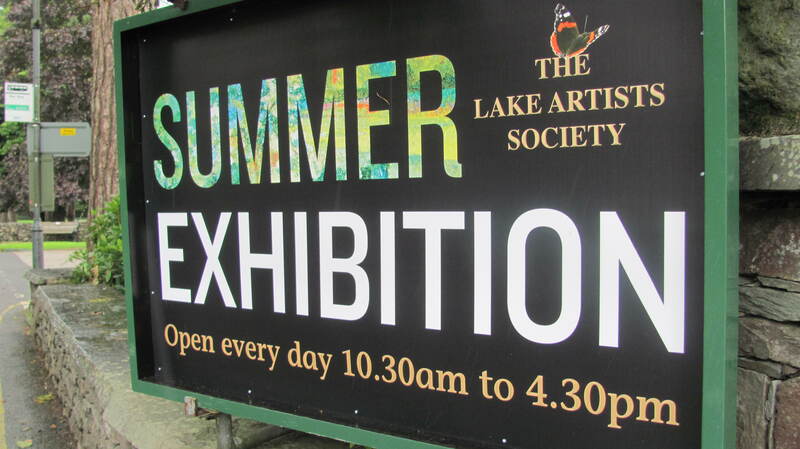 First port of call, another look round the Lakes Artists Society Exhibition in the Village Hall. This usually runs from end July till beginning of September every summer and is open daily. Founded in 1904 by artist W.G.Collingwood (secretary to John Ruskin no less). 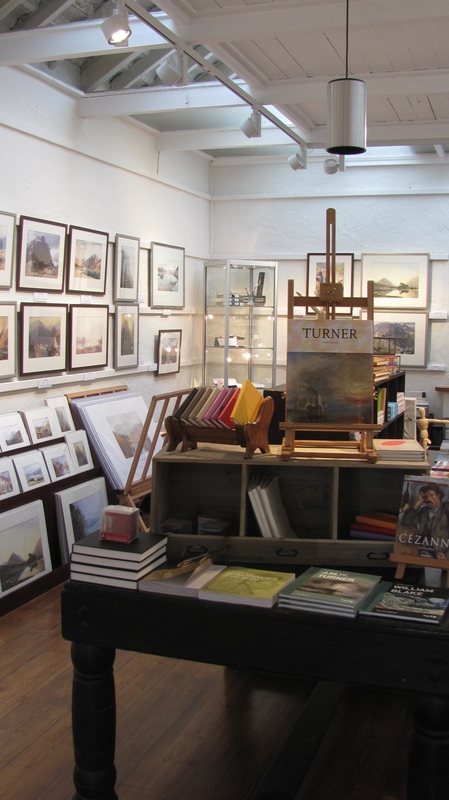 Membership is limited to 45 artists all who must reside in the Lake District. Next stop. 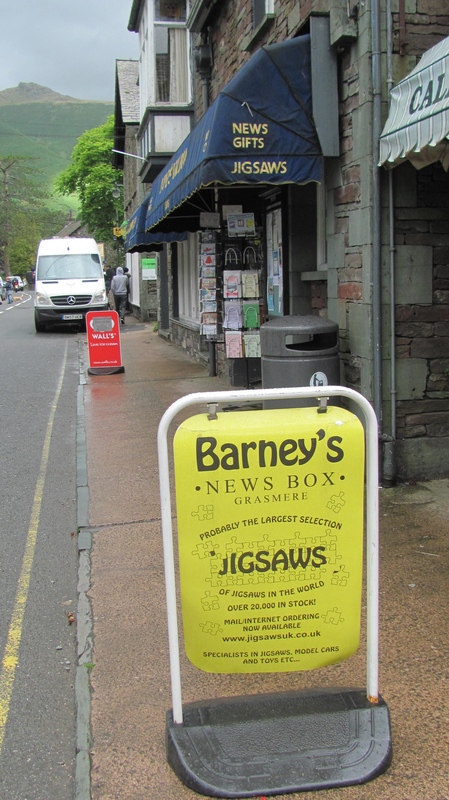 Barney’s Newsbox on Broadgate Grasmere. 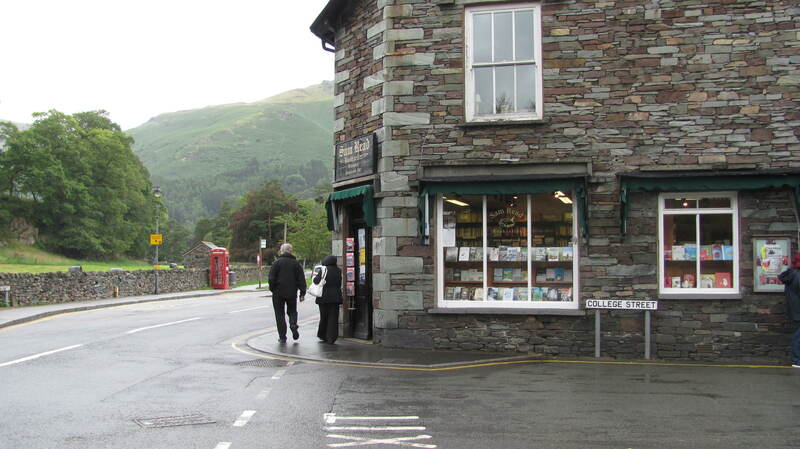 Now while you may have bought your newspapers from here while visiting Grasmere, have you ventured upstairs?. 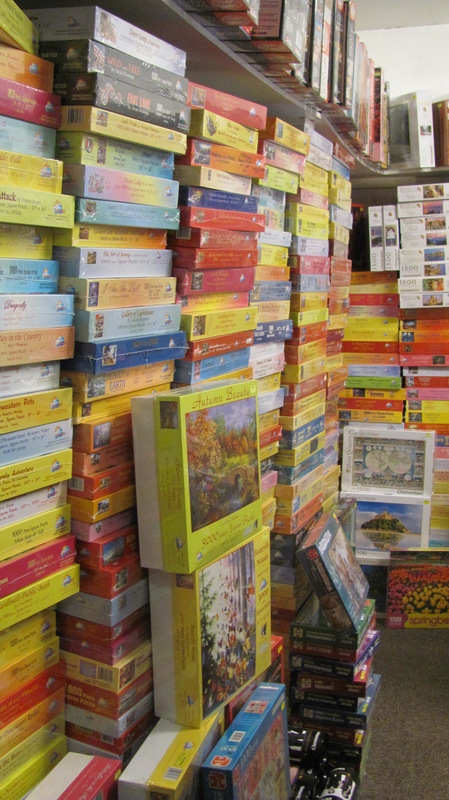 Home to over 20,000 jigsaws, you can’t fail to find something to while away a few hours, or more! 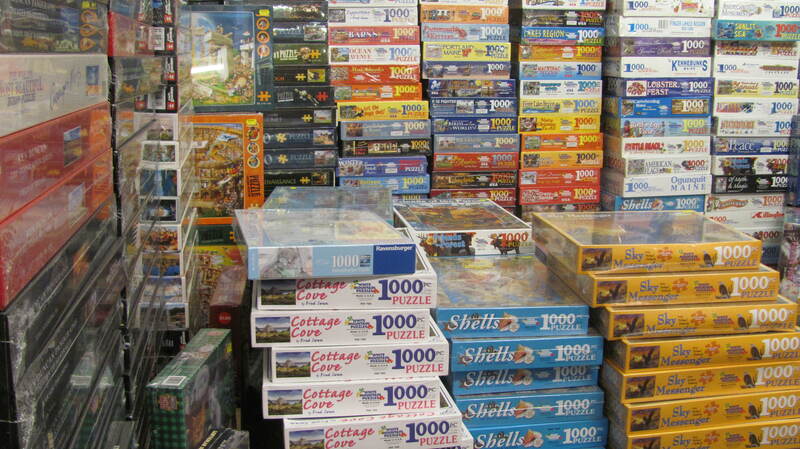 A few pieces, many pieces, jigsaws for young and old, take a look you will be amazed. Grasmere is lucky to have lots of independent shops, and that’s what makes it so interesting. One of my favourites is Sam Read Bookseller. Established in 1887 this is the place to browse for every type of book imaginable. Snuggle up on the couch of your holiday home or guest house, listen to the rain against the window, and transport yourself into another world. 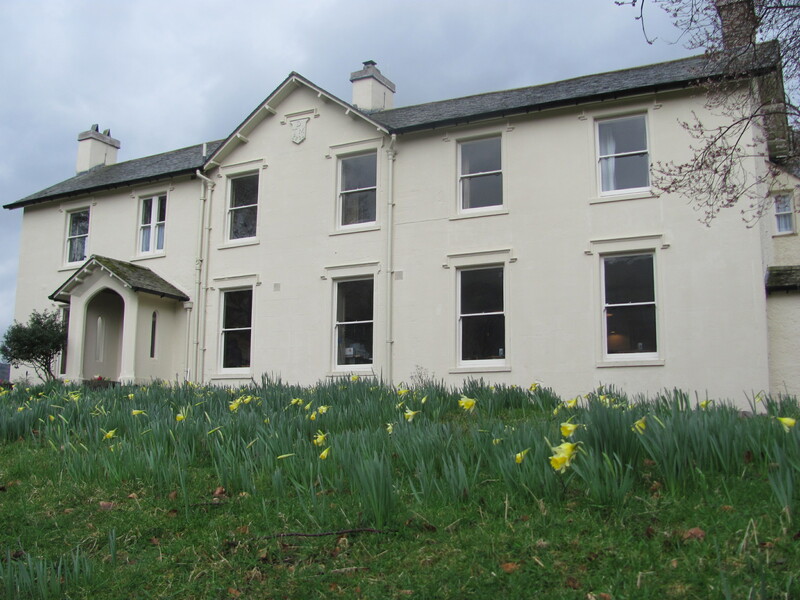 Situated on the corner of Broadgate and College Street Grasmere, you will be surprised by what you find inside. 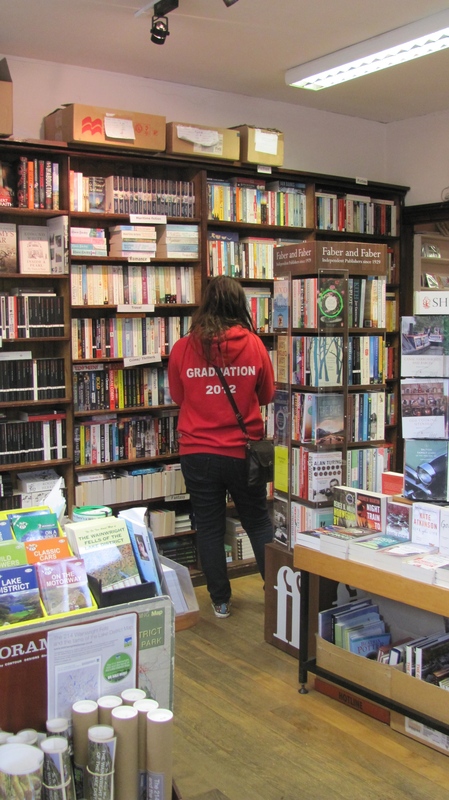 Very helpful staff, with great knowledge to find you just the right holiday read. To see a selection of their books, maps and other reading material. http://www.samreadbooks.co.uk situated next door is Lucia’s Takeaway Coffee Shop, great for a quick snack or picnic item. On sunny day’s you can borrow a sit mat to use on the village green opposite while you eat. Across the green is situated Heaton Cooper Studio. Another family business that was established in 1905. 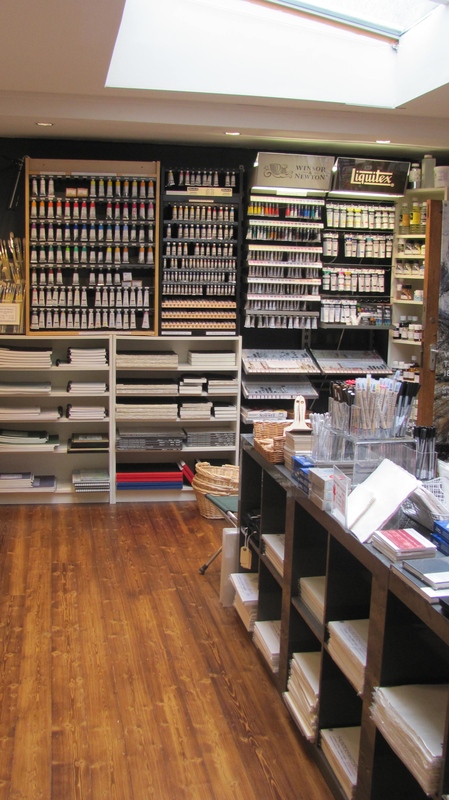 I don’t think I have ever managed to get out of here without making a purchase from their wonderful art shop. This time wasn’t any different! 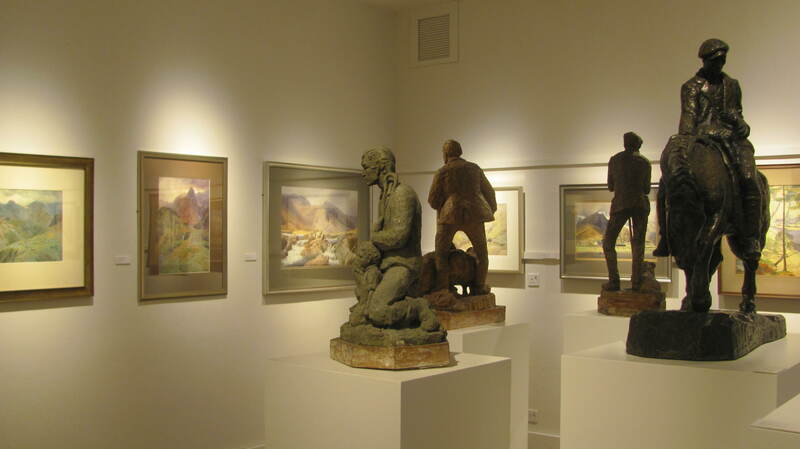 The Gallery features work by several generations of the Heaton Cooper Family. Wonderful images of the Lake District in all it’s glory. 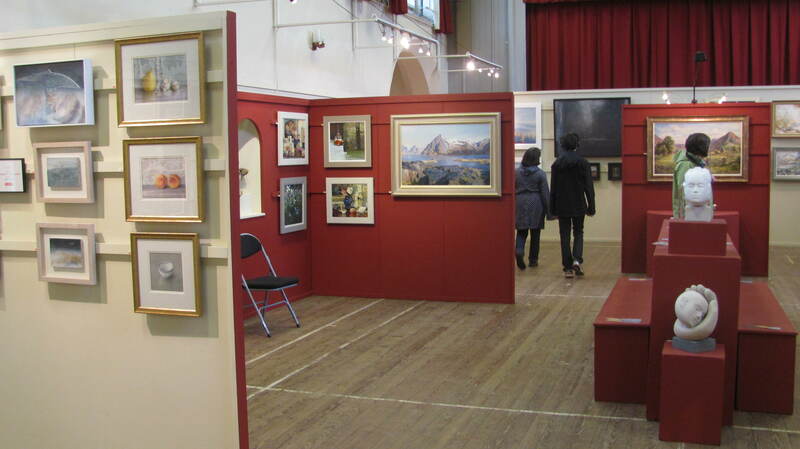 They also have a new exhibition space. 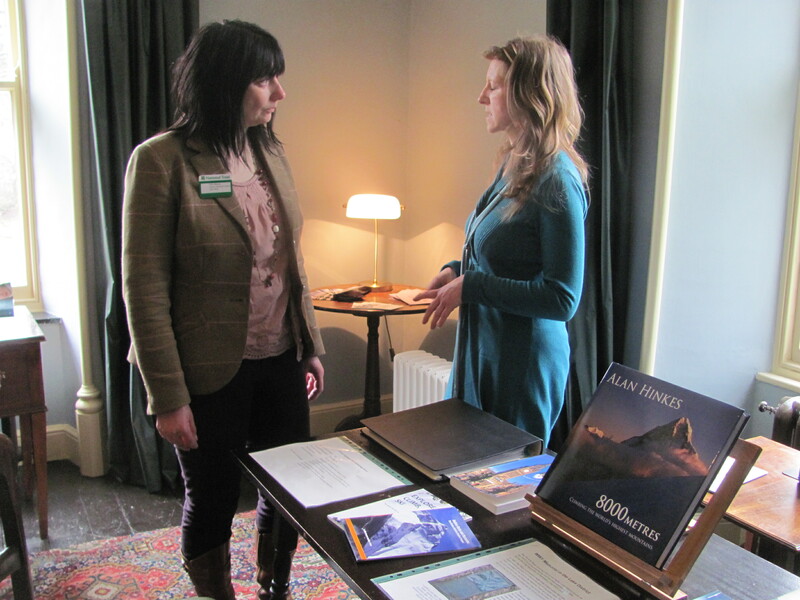 A great addition and I thoroughly enjoyed looking at the exhibition currently on, entitled “Working The Landscape”. Walk out and turn to your right. Another wet weather idea is National Trust Allan Bank situated up the lane to the side of the Miller Howe Cafe. This is not your normal National Trust experience. A quirky house, once lived in by Wordsworth and co-founder of the Trust Cannon Hardwicke Rawnsley. Each room has a loose theme, Art Room, Play room, etc. No ropes and no “Do not touch” signs. It now features a kitchen cafe with a great selection of cakes. Dogs are welcome in the house too, so no need to leave four legged friends behind. Another interesting room has the Chorley Hopkinson Mountaineering Library in it, so if it’s not the weather for climbing you can at least read about your next adventure. Plenty for children and adults alike to do. Sit beside the roaring fire and read the complimentary newspapers while the children paint a masterpiece. Fantastic views too, even on a miserable day. 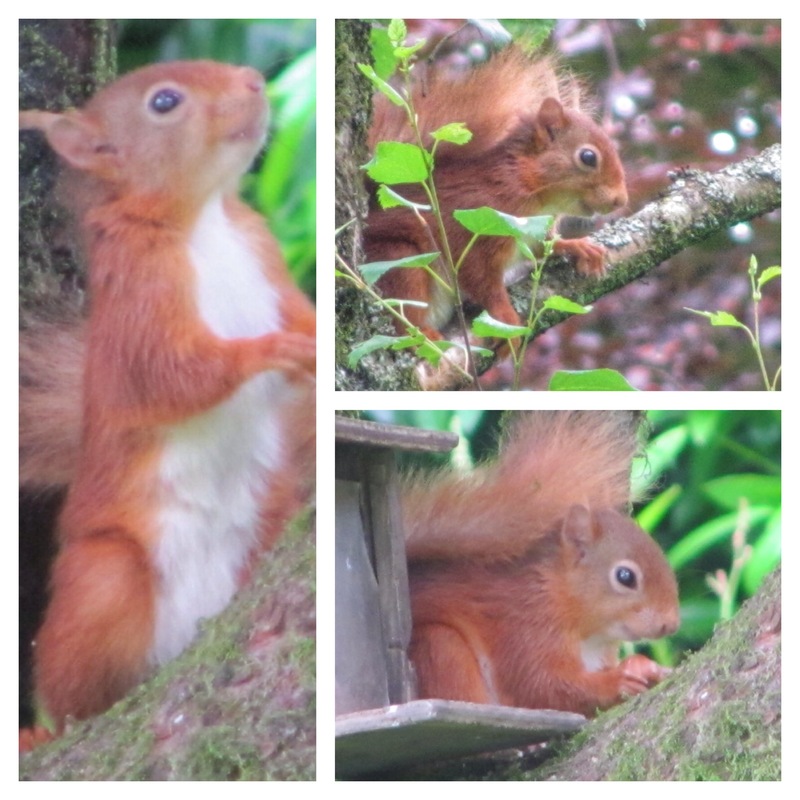 Best of all there are red squirrels at Allan Bank and they seem to like the wet weather best. Sit at the window and see what you can spot. No squirrels about? 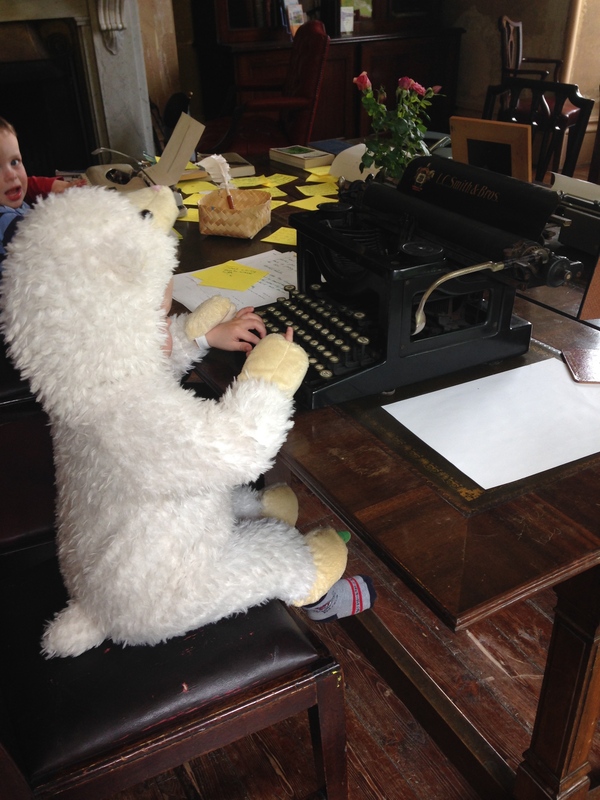 You never know what animal you might find (dressing up optional!). So what else to do on a rainy Grasmere day? 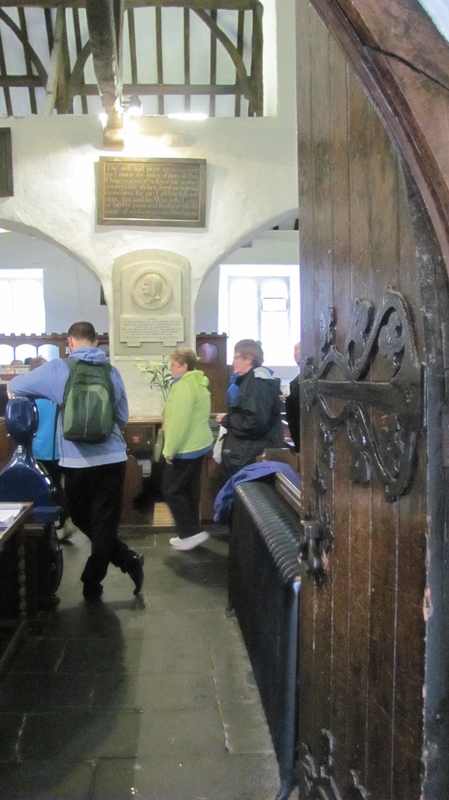 Pop in to St Oswald’s Church. 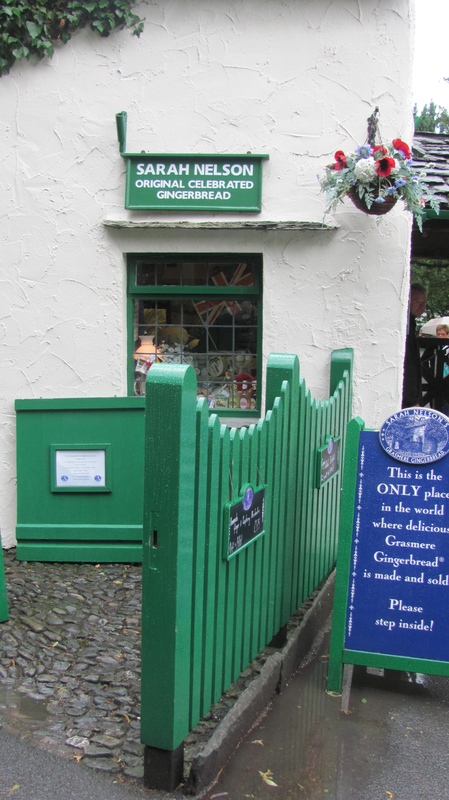 Buy some Grasmere Gingerbread. Always warming on a miserable day. 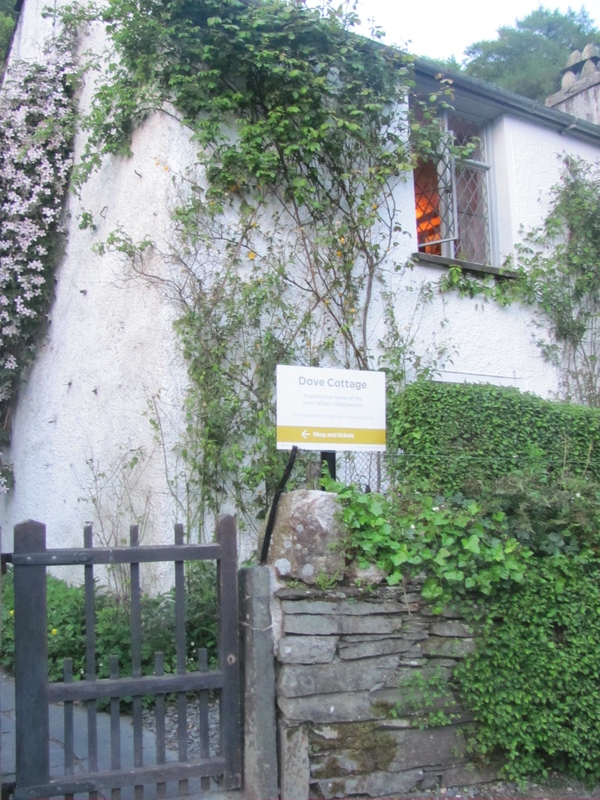 Or pay a visit to the Wordsworth Trust and Dove Cottage another of Wordsworth’s homes in the village. They usually have a great exhibition on too. And if all else fails. 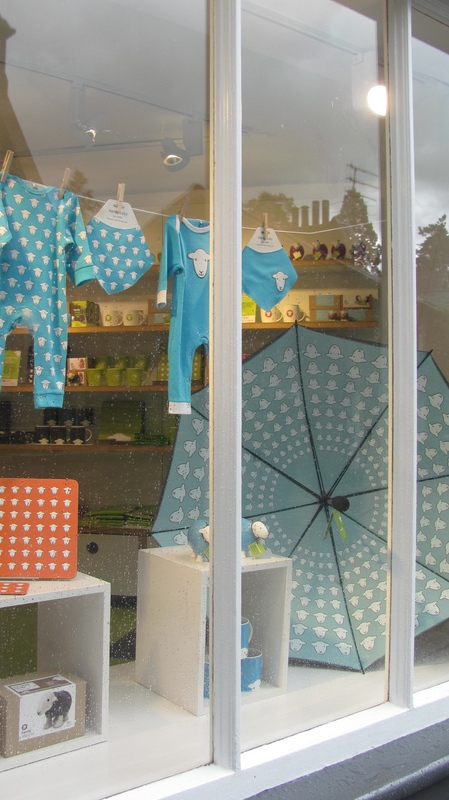 Treat yourself to a fab Herdy Umbrella and do a bit of singing in the rain! 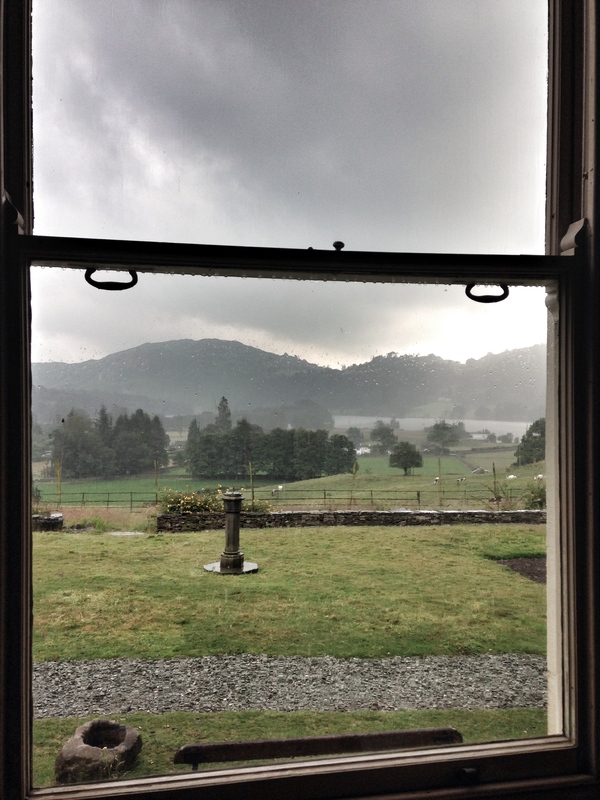 So I hope this has given you some ideas of what to do on a rainy day in Grasmere. Only one problem. I spent so much time enjoying myself wandering round the village my freezer had defrosted it’s self all over the floor, so it was not only wet outside but inside too! Great post! I’ve been to Allan Bank a couple of times but I’ve never been lucky enough to spot a red squirrel. I need to head back again with my telephoto lens. What a lovely post Chris! 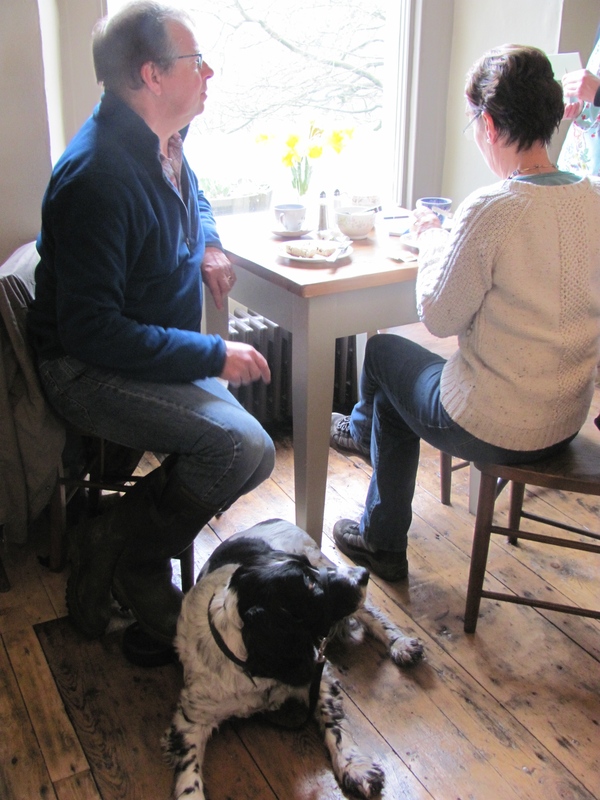 There is, indeed, so much to do in Grasmere when the weather turns inclement. It is the most beautiful place. Allan Bank squirrels are plentiful and can readily be seen from the windows of the house whilst enjoying a lovely cup of tea or coffee. Our next trip up is in December so I’m sure the weather will be less favourable but, even during the winter months, there is still plenty to do. Thank you. In November and December this year, Allan Bank will be open Friday, Saturday and Sunday. (Squirrels around all the time of course!). Totally agree. Green’s is fab, great selection of Vegan and vegetarian dishes too. Karen is very accommodating if you have any food allergies as well. Have spent many an hour sitting outside watching the world go by.